Drinks are always over looked on Thanksgiving. Sure someone always brings wine and maybe there's a few beers in the fridge; But what about those adults who don;t want to imbibe? They get stuck drinking water or too-sweet-to-stand-up-to-turkey-cider. Let's change that this year, this year let's shrub, Cranberry Shrub. 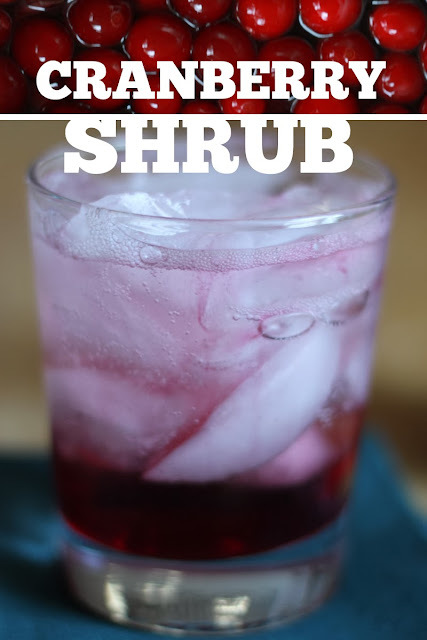 We've talked about shrubs on Stir and Scribble before, but let's recap: Shrubs are vinegar based fruit syrups. They can be enjoyed as part of a DIY soda with water OR as a cocktail. 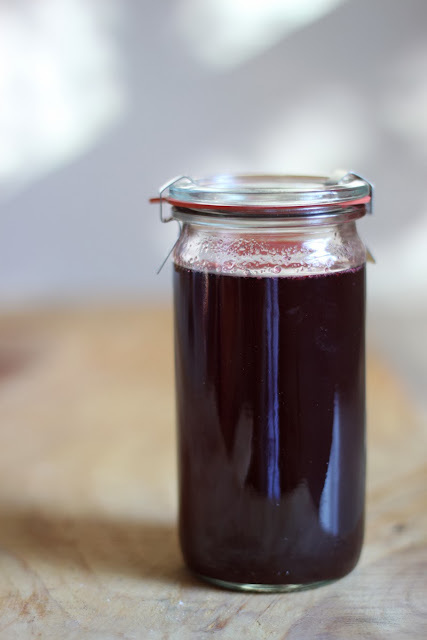 Shrubs are an excellent pre-dinner drink and their acidity stands up well to a rich holiday meal. This Cranberry Shrub would also make an awesome hostess gift, if you aren't cooking Thanksgiving dinner. Just pour into a darling jar and add a gift tag with serving instructions. 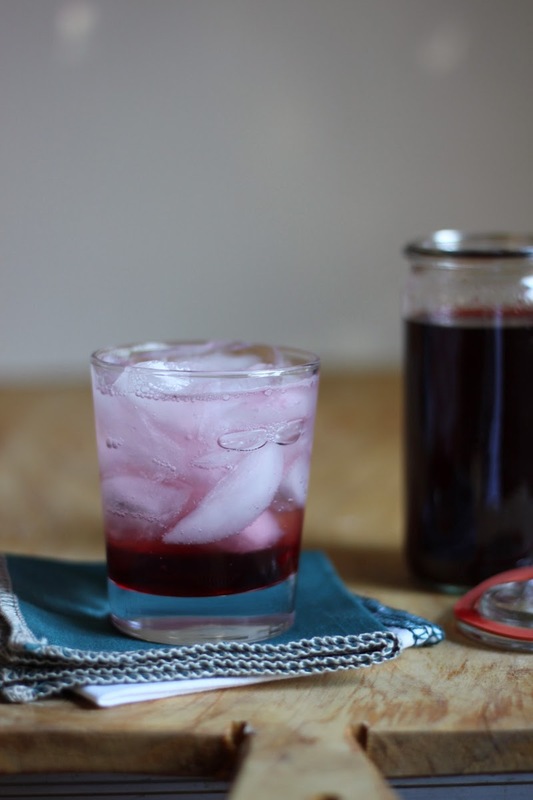 Serve this Cranberry Shrub syrup over ice and top with soda water (even flat water is delicious). Gin or vodka would both make lovely cocktail additions to this festive shrub. 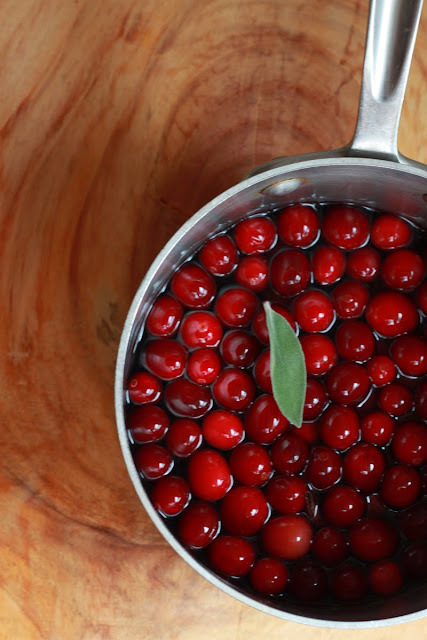 Combine the cranberry juice, cranberries, sugar, vinegar, and sage in a small saucepan. Bring to a boil over medium high heat and cook for 30 minutes - or until the mixture is reduced by 25%. Remove from the heat and cool for 10 minutes, strain through a fine mesh strainer into an airtight container. Cool completely before storing in the refrigerator. Serve over ice and top with soda water. Thanks Tranae! You'll really enjoy it.